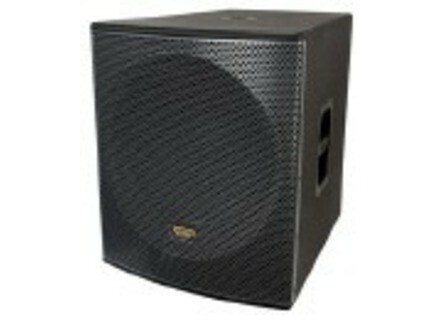 TH-18s, Active subwoofer from Mackie in the Thump series. Mackie announced several new powered subwoofers. When paired with an SRM450v2 (now clad in all black), the new TH-18s Powered Subwoofer is designed to "deliver real world power at extremely competitive pricing." Also debuting at Musikmesse are the HD Series Powered Subwoofers, the companions to the full-range HD Series loudspeakers launched in 2009. The SRM450v2 is now available worldwide and has an MSRP of $749.99, a list price of € 655 and are £555 including VAT. The TH-18s is now available worldwide and has an MSRP of $879.99, a list price of € 649 and is £599 including VAT. The HD1501 subwoofer will be available in April 2010, and will have a US MSRP of $1099.99, a list price of € 999 and will be £869 including VAT. The HD1801 subwoofer will be available in April 2010, and will have a US MSRP of $1249.99, a list price of € 1199 and will be £1049 including VAT. Visit Mackie at Musikmesse 2010 in Hall 6.1, Booth C31. Visit www.mackie.com for more info. [Musikmesse] Cinema Ribbon Monitor System The annual ProLight + Sound / Musikmesse show in Frankfurt will give Alcons Audio the opportunity to introduce and demonstrate its latest products. [Musikmesse] Studiomaster A6-212SA A modular system – with each ‘module’ comprising an A6-212SA bass unit, housing the 1x800w and 2x400w amplifiers, and two A6-206-4 hi/mid cabinets – the system can be floor sited or flown, with flying points (adjustable on the A6-206-4) fitted on both cabs. [Musikmesse] Studiomaster A6 Series The Studiomaster A6 series marks the company’s entry into the line array market, with a self powered design.